Join us for our annual ResideBPG Santa Paws Party! 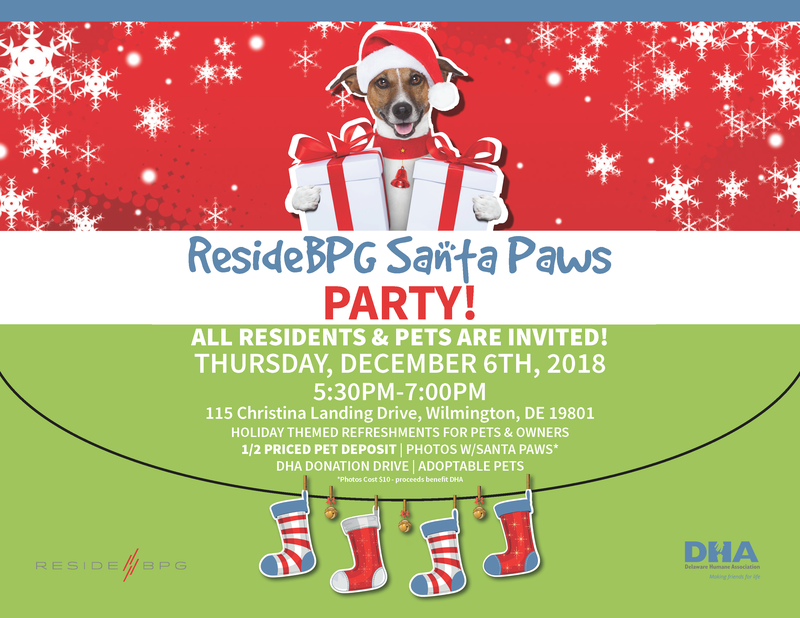 Residents and pets alike are invited to The Residences at Christina Landing on Thursday, December 6th, for our 4th annual ResideBPG Santa Paws Party in support of the Delaware Humane Association! Mix & mingle over holiday-themed refreshments for both pets and owners and bid on a number of silent auction items, including a night stay at the Hotel du Pont, passes to Longwood Gardens, and more. 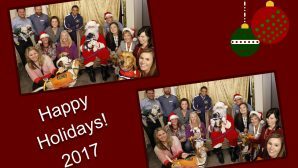 Take holiday photos with “Santa Paws” and maybe even adopt a new furry friend from the DHA for a 50% reduced ResideBPG pet deposit. * There is so much fun to be had & holiday cheer to spread that you won’t want to miss it! For a full list of the DHA’s wish list, click here. *Photos with Santa are $10. All proceeds go directly to the Delaware Humane Association.